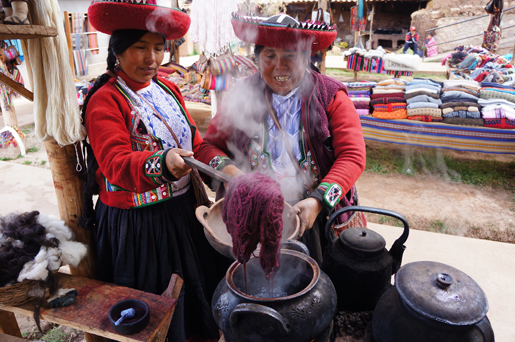 Linda Chang Teufel shares her insights about her journey to Macchu Picchu and Peru, what she learned about the traditions and truly handmade, local crafts. 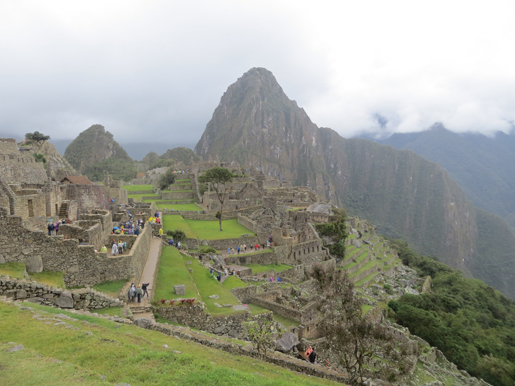 For our 25th anniversary this year, my husband and I decided to cross something off our bucket list and visit Machu Picchu and Peru. It was a fascinating trip but very arduous and the altitude really attacked me for four days! 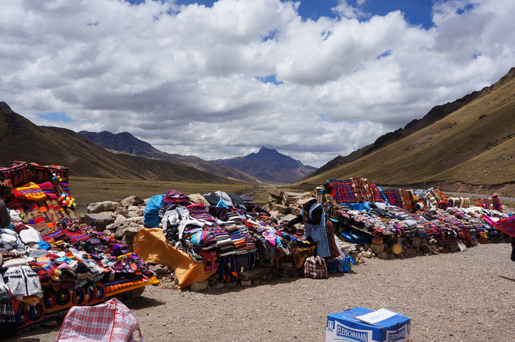 Peru must be one of the largest producers of alpaca fiber. That is all you hear about from the moment you get off the plane. “Alpaca” is being hawked everywhere you turn! Of course, most of the ‘alpaca’ and anything cheap is not real and my trained fingers could feel acrylic and other synthetics. 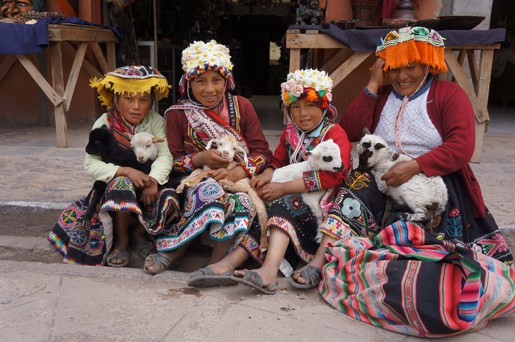 You have to go to a reputable shop or crafts cooperative to buy some genuine alpaca items. 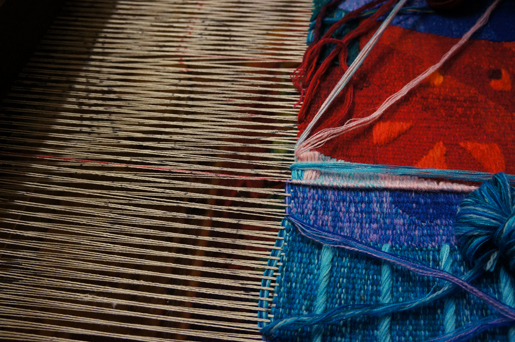 Weaving is the number one use of the fiber and then followed by knitting. 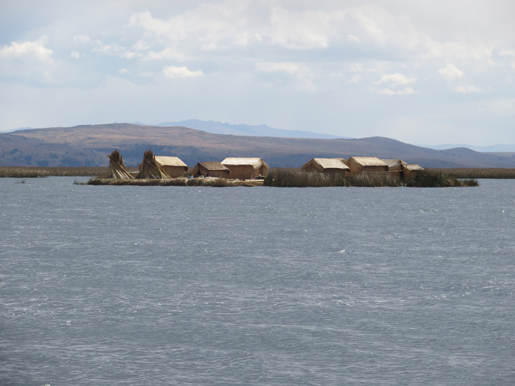 One of the first trips we made was to Lake Titicaca (the highest navigable lake) and an island there called Tequile with a population of 2200. What is interesting about the island is that all men must learn to knit. Women spin yarn and weave and the young boys help with that until they are 8 years old when they start to learn to knit. If a woman wants to marry a man from another island, he must pass the knitting test before he is allowed to move to Tequile. The knitting test is a difficult one to be sure! If a boy is interested in a girl, he must knit her a long stocking cap, usually in a red and white pattern. He presents the hat to the girl and she takes it to her mother who then turns it upside down and pours water into it. It must have such tight stitches that no water leaks out of it. If it leaks, then they either don’t give her permission to marry him or he starts over! Isn’t that wild? I think then nobody here could ever marry. I felt the hat and it is so tight that it feels like a rug. When the man marries the woman, he cuts off some of her long hair and uses it for the warp of a woven sash. Their hair is thick and black and when we touched it, it felt like wool. They keep this with them forever. 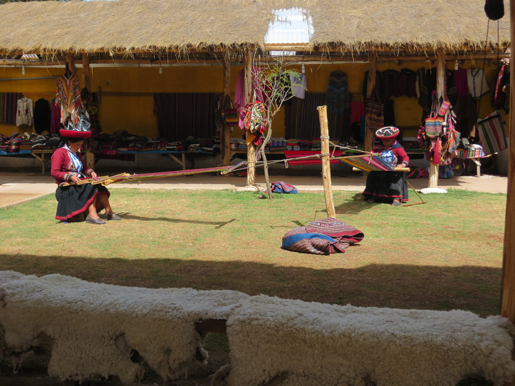 We saw some women weaving and they use a bone to tamp down the rows. This bone is given to them as a child and they keep it for life. After the demo, dancing and singing, their wares were revealed and we could shop! There was so much to choose from and the quality was fairly good. 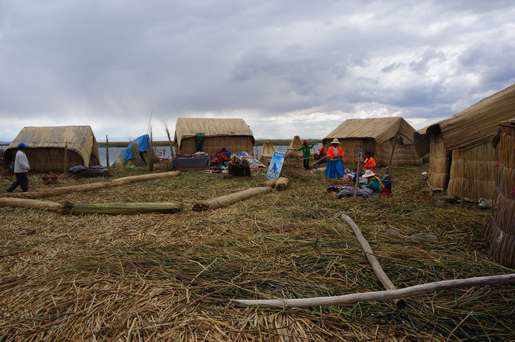 The next stop was Uros, an inhabited floating island. 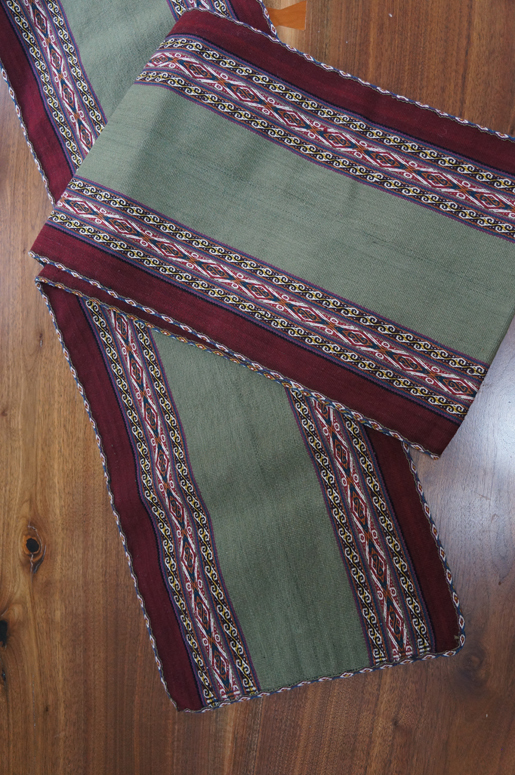 It is tiny but five families live on it and their skill is embroidery. It is a pictorial style, mainly chain stitch and we watched the women stitching while we heard about life on a small stack of reeds. All over the country you could see alpaca and llamas roaming parks and even some city streets. Many young girls, dressed in full costume, carry baby lambs around the city hoping you will take their photo for a few cents (sols) and I sure did. 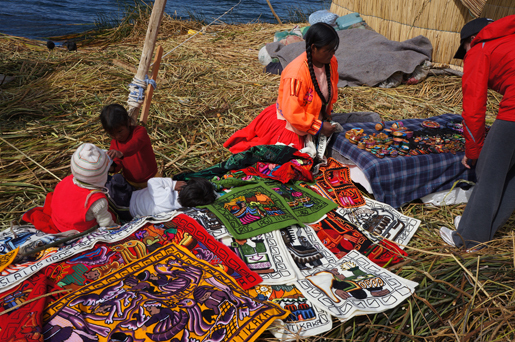 Weaving is the most popular craft in Peru. 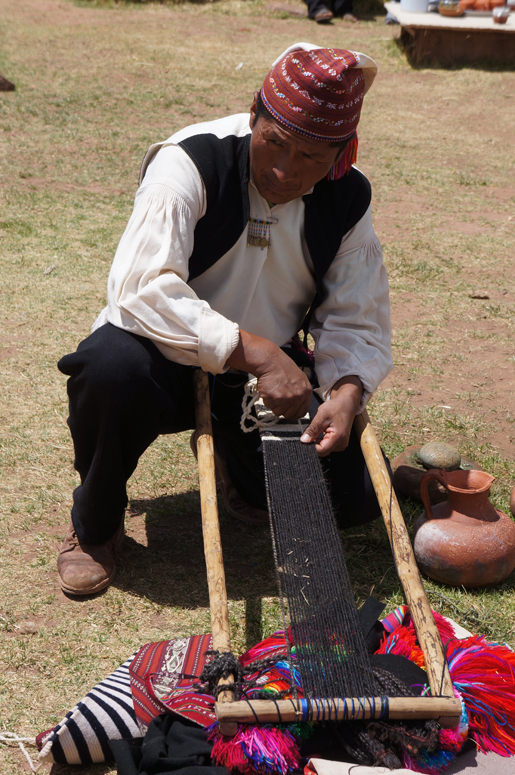 In the Sacred Valley we were taken to a crafts cooperative which comprised two dozen different tribes. 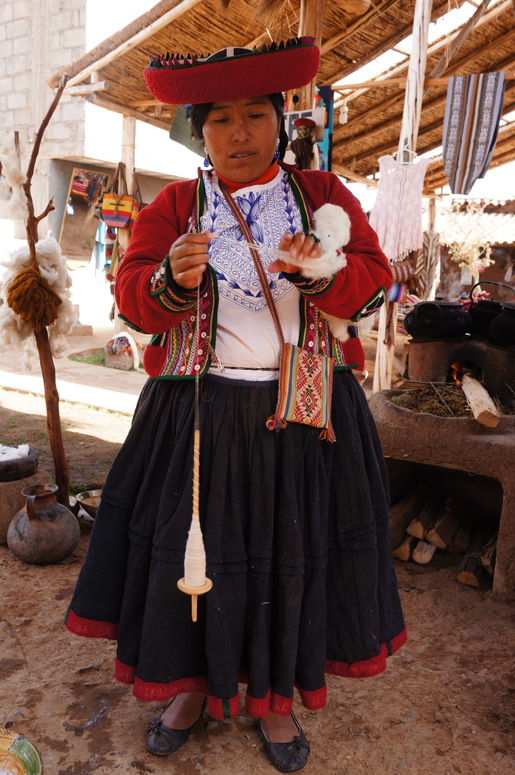 Here we got a demonstration of how they make the alpaca yarn. 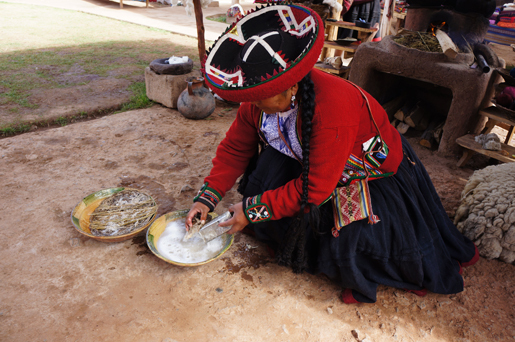 First they washed the raw roving with a plant that is grated into a ‘soap’. Then after it is cleaned it is spun into yarn with a drop spindle. 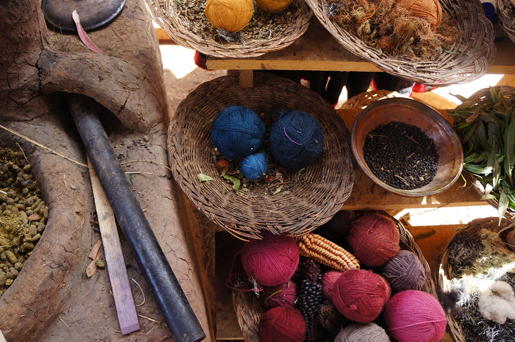 The colors are created using natural plants and insects ground up to make the dye which is boiled in these pots. 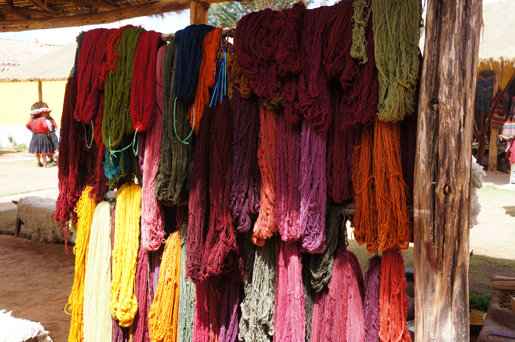 Yarn boiled for a longer time makes a darker and more intense color. After drying it is ready for the backstrap looms which we saw all over the country. 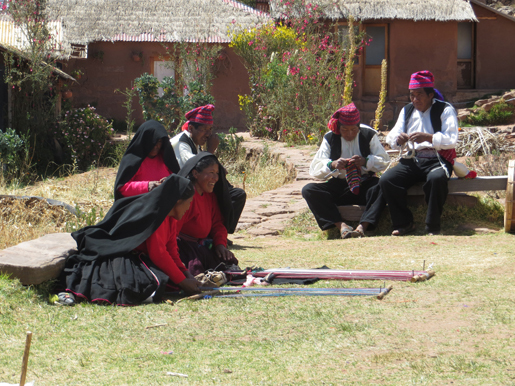 Women were weaving on the floors of the museum courtyard, on the side of the road at tourist locales and in the hotel lobbies next to their goods. They all seemed to be so skilled, making intricate patterns. 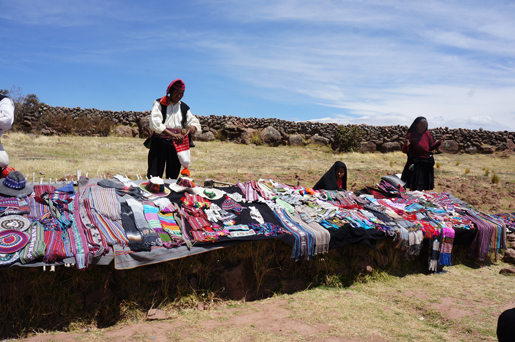 It is at this location where we decided to buy some weavings since we like to buy from the artists themselves. My husband bought a table runner made from baby alpaca for $200 that the woman said took her two months to make. I bought an alpaca table runner for $85 and which was not as intricate. Baby alpaca is not really from young animals. 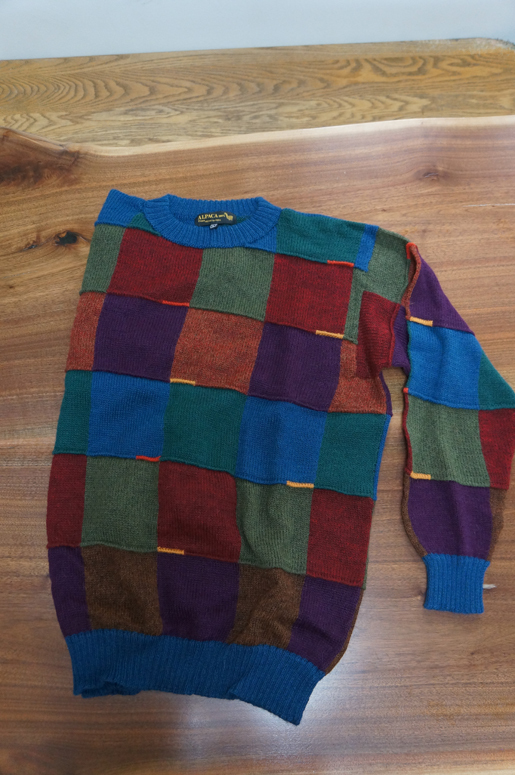 It just means that it is the first shearing and so the softest, better quality fiber. Also you can find alpaca on the menu in lots of restaurants but I didn’t try it. There is also an animal called a vicuna that they use for wool and it is supposed to be extremely soft like cashmere but sweaters start at over $1000.00 and I didn’t even see any in the shops. 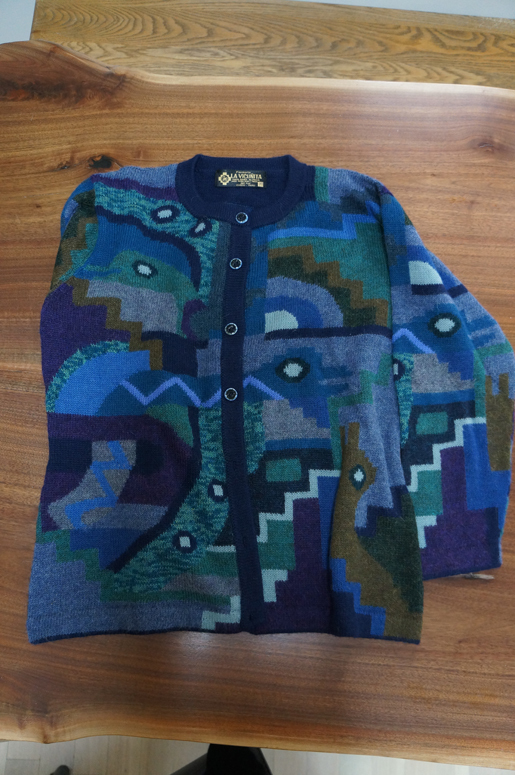 Here is the baby alpaca sweater that I bought from a factory store in Cusco that designs their own patterns. It was $120 and my son’s modern design was a bit more. Also, I picked up a baby alpaca shawl in my favorite colors with alpaca motifs woven in. 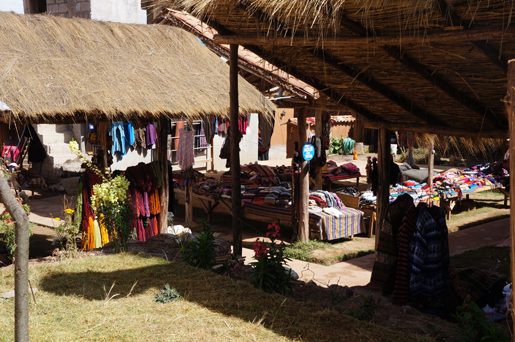 While visiting the arts district in Cusco we went to the studio of master art tapestry weaver, Maximo Laura. 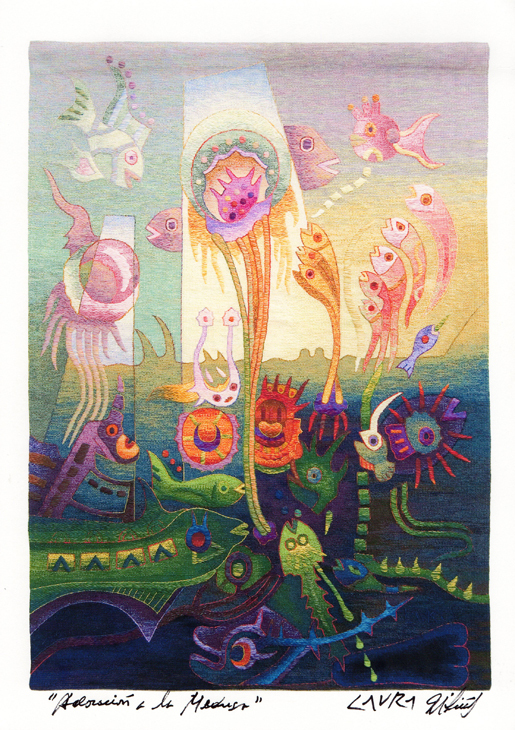 His work was truly amazing and colorful. The pieces in the gallery were large and used thicker yarns. There was a loom set up with an apprentice working on a Laura design. 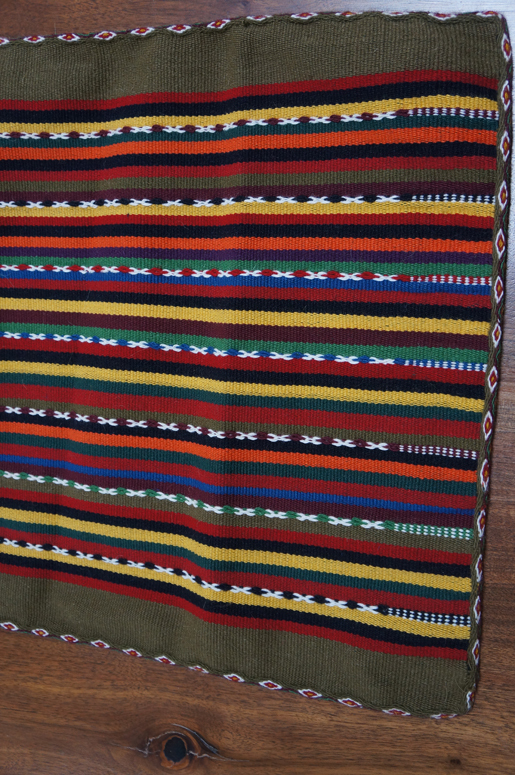 The key to his design was the use of multiple colors of yarn strands in each weft pass. That added dimension to these fantasy designs. I scanned a print that I bought. This trip was a once-in-a-lifetime and well worth the arduous journey. It’s a very interesting country with friendly people and lots of crafts all over. 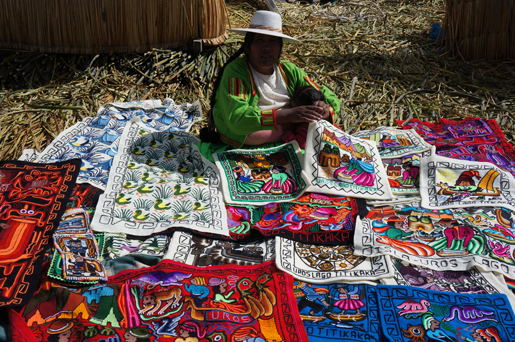 Amazon tribes do different style of embroidery and there were many other crafts that weren’t fiber related. If you ever have a chance to go there, I highly recommend it. You can read more about alpaca on my blog. Linda did you visit as part of a group or did you set up visits to textile places yourselves? We did a similar journey but I would have loved to have see the weaving etc that you saw. Yhank yiu for writing about your adventure.